So who knew that the RCAF Winter Experimental Establishment (WEE) flight stripped the paint off of Spitfire XIV TZ138 during its time in Canada? I sure didn't until today. Then I saw this photo. Very cool. One small point is that the Meteor is Meteor IV RA421, not Meteor III EE311 which was written off in June 1946 in Ontario. And why does the Prentice look pink? Here is a neat little video of some RCAF Sabre Squadron high jinx in Europe. Look at those poor USAF F-86s zapped by 412 and 416 Squadrons. Another new fündekals sheet also has Canadian content, even if it wears U.S. markings. The USAAF actually bought a few Canadian built Mosquitos, called them F-8s, and the "Spook" was the most famous of these Mosquitos. 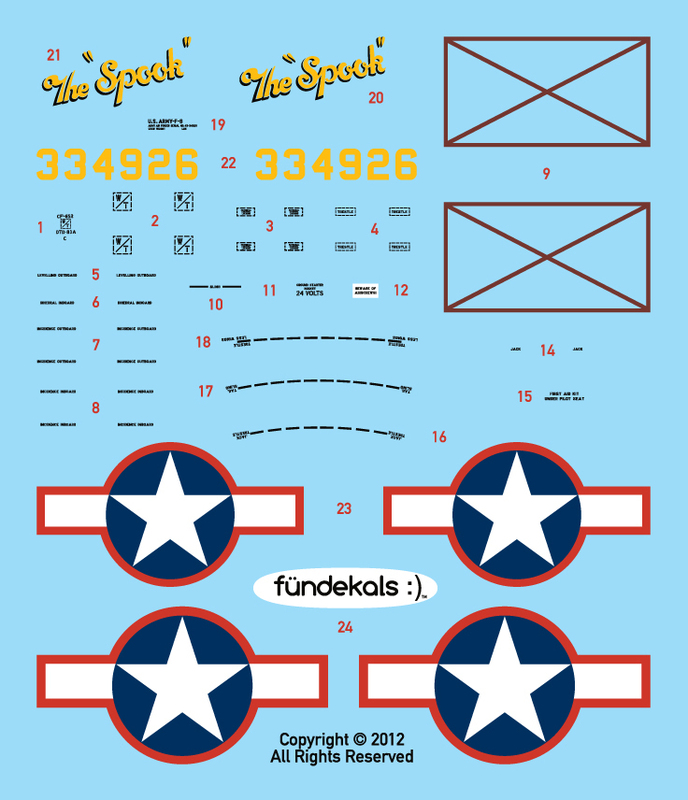 This is a slightly more complicated sheet than is usual with fündekals as it includes the usual serials, insignia, and nose art, but also stencils. 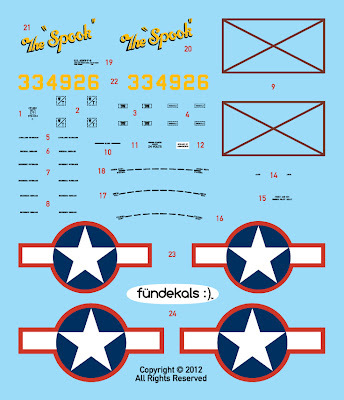 Again everything is perfectly printed and the colours are spot on and you are directed to www.fundekals.com to download an instruction sheet for decal placement and scheme information. In this case, the instruction sheet is the highlight of the set. Spanning eight pages, it may be the best monograph ever published on the "Spook." 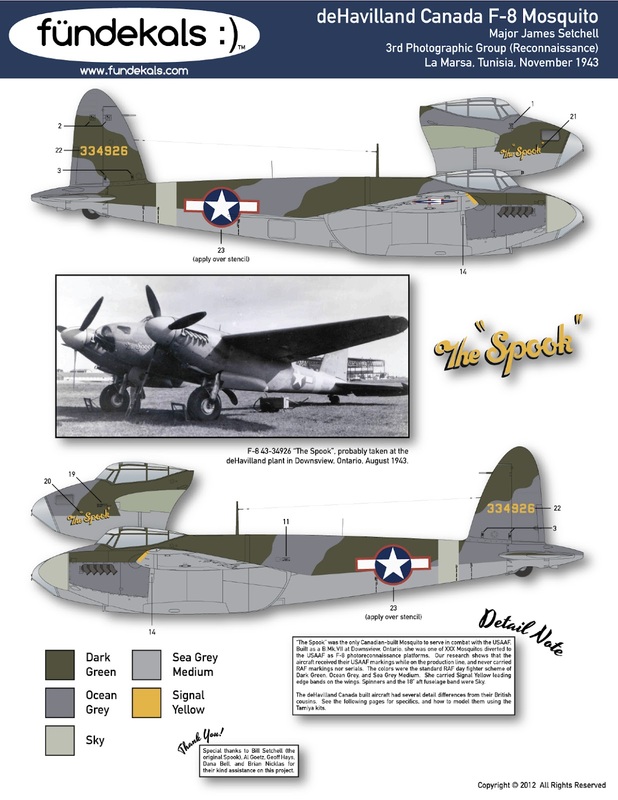 And hey, who doesn't want to build a Mosquito in the dayfighter scheme with U.S. insignia with the red surrounds? Ok, whatever...which I believe is also the Canadian Government's official position. 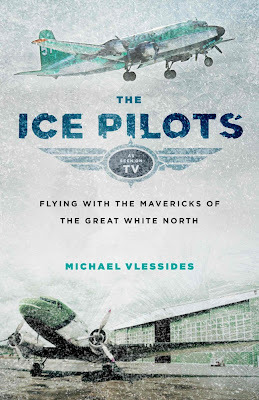 I'll admit it, watching Ice Pilots NWT is a guilty pleasure of mine and this book is an equally guilty supplement. Less a history of Buffalo Airways, it is more of a combination of company stories, tales of other northern bush pilots, the author's experiences at Buffalo Airways, and, oddly, his own experience with the North. The book is easy to digest and fun, but made me wish for more depth. While the author's experiences at Buffalo seem germane to the title; especially his interactions with Joe McBryan, his history with the North really doesn't matter to anyone but himself. Additionally, his little history vigenetes of other bush pilots come off as oddly placed as some have no context to the story at all. But the book does provide good insight into the behind the scenes (or is it screen) operations at Buffalo and there are some interesting interviews with Mikey McBryan that show more depth than viewers of the TV show might expect. A couple of weeks ago (Saturday August 25, 2012 to be precise), I attended the Flying Heritage Collection Battle of Britain Fly Day. The photos can be found here. (Sorry, I'm too lazy to upload them to the blog.) Aircraft participating included ex-RCAF Hurricane XIIa BW881/N54FH painted as Hurricane XII 5429/L of 135 "Bulldog" Squadron RCAF, Spitfire Vc AR614/N614VC in wartime RAF Czech Squadron markings, and Spitfire IXe SL633/N633VS in post war Czech Air Force markings. (A historical side note: Spitfire AR614 also has a Canadian connection. 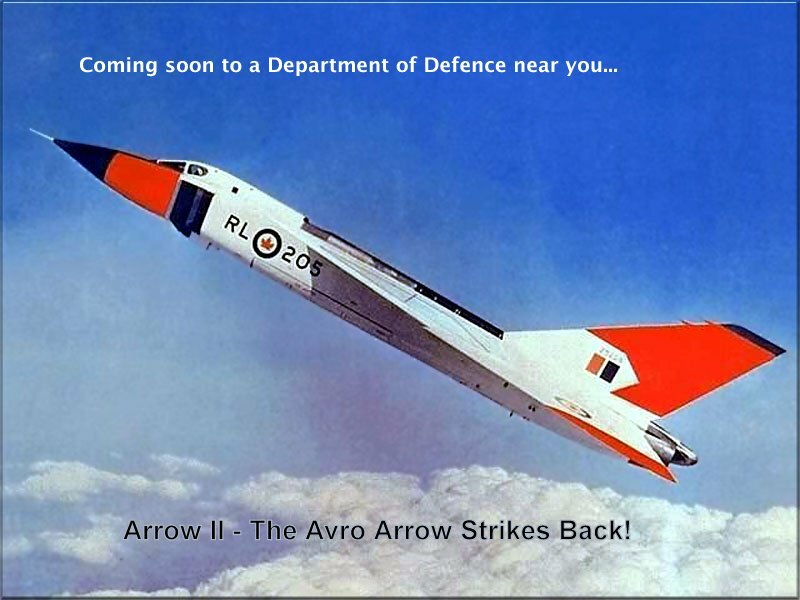 It was imported to Canada in the early 1960s by Lynn Garrison for the Air Museum of Canada. It later moved on to Don Campbell of Kapuskasing, Ontario and was registered as C-FDUY, before returning to the UK for restoration in the early 1990s.) The two interlopers are a Paine Field firetruck and a Japanese Airlines Boeing 787 Dreamliner (JA828J) on a shakedown flight.